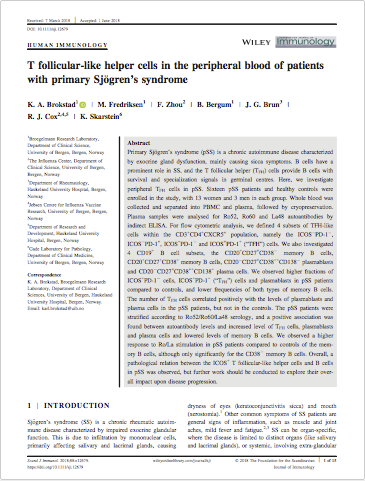 T follicular-like helper cells in the peripheral blood of patients with primary Sjögren's syndrome. 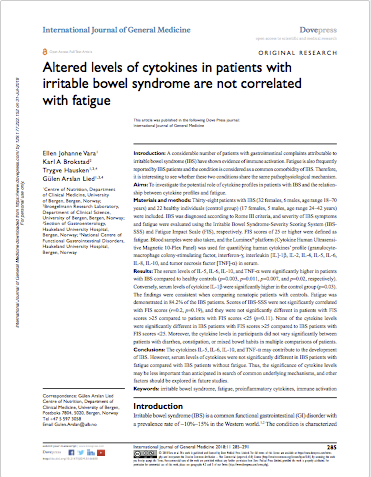 Brokstad KA, Fredriksen M, Zhou F, Bergum B, Brun JG, Cox RJ, Skarstein K.
Altered levels of cytokines in patients with irritable bowel syndrome are not correlated with fatigue. Vara EJ, Brokstad KA, Hausken T, Lied GA.
Int J Gen Med. 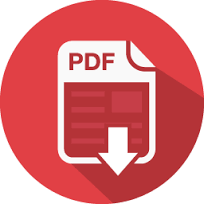 2018 Jul 6;11:285-291. doi: 10.2147/IJGM.S166600. eCollection 2018. 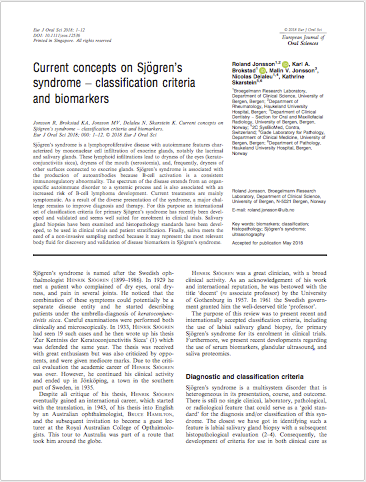 Current concepts on Sjögren’s syndrome – diagnostic criteria and biomarkers.